Despite the fact that participants of the UN Climate Conference in Durban, South Africa, managed to make some decisions on forests ("Definitions, options, rules and guidelines relating to land use, change of the land use and forestry activities under the Kyoto Protocol"), a full stop in the discussion of the parameters of the process has not been set yet. There appeared a scandalous proposal to classify all forest fires as natural ones. Representatives of the environmental NGOs believe that the acceptance of this proposal may let Russia relax about obvious shortcomings in the forest management and legislation which is far from being perfect now. In Durban, Russia officially supported the equal approach to the conservation and the prevention of forest degradation, pointing out that the boreal forests should have a similar approach. However, boreal forests in Africa have not received active support and attention of the delegations. The role of our "northern" forest in the overall balance of the climate remains underappreciated: boreal forests of Eurasia and North America only absorb about 1.6 billion tons of CO2 every year. This is 25 times as much as all greenhouse gases emissions in Denmark, 3 times as much as in France, and 1.2 times as much as in Japan. While the "external" promotion of Russia's forests has a long term perspective, the internal development of the forest and climate projects is under a serious question. The loss of Russian joint implementation projects leaves little chance for regional forestry initiatives to find resources and no one in Russia hopes for it. 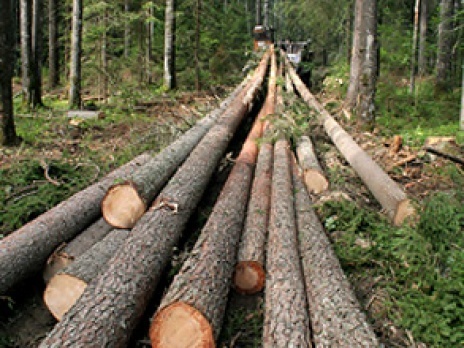 RSEU Climate Secretariat reported earlier on several forest projects for reducing emissions, which were planned to be implemented in the Altai Territory. The potential of projects in this region only could give more than 6 million tons of CO2 in 2020. According to various estimates, there are from 12 to 40 million hectares of former agricultural land overgrown with forest in Russia. Sustainable forest management might become a source of income: one ton of CO2 on the global market costs 6.8 euros, which means that one hectare of forest absorbs carbon for more than 2,000 rubles a year. "There was much more forest on fire this year than in 2010. And most of the fires were of anthropogenic, not natural character. They occurred due to the destruction of forest management systems, says A. Laletin, chairman of the Coordinating Council of the Global Forest Coalition. - Every year the number of fires in the permafrost zone is increasing. Such fires release methane, a greenhouse gas that is 60 times as aggressive as CO2 .... "
These figures are confirmed also by Greenpeace figures – there were more fires in the Russian forest this year than in the last one, the fires went through an area five times larger than it was indicated in the official figure, says Greenpeace (http://www.bellona.ru/articles_ru/articles_2011/itogi-year). The previously open data on forest fires, reforestation, forest cultivation and forest protection were unexpectedly declared confidential in some federal subjects. Russia still remains one of the few countries that do not have a national forest program. Without it, the Forest Code of the Russian Federation is no more than a set of preferences for the purveyors of the forest, and the budget spent on the purchase of fire-fighting equipment - waste of money. Organization of sustainable forest management is needed in our country literally as air. However, the internal and external policies of the authorities do not allow us to talk about the bright prospects in this field. If this situation will continue for 40-50 years, Russian forests might become a source of emissions instead of being a climate donor. According to the RSEU Climate Secretariat opinion, Russia needs special measures for the forest conservation, organization of sustainable forest management, restoration of the existing forest service, and support to the forest topic on both national and international levels. Otherwise, our forest might literary become a "set of logs"